Please join MPA in an evening discussing Unionism. What are unions and why are they still important? Michigan Production Alliance is hosting a discussion about unionism today, led by Joe Miller, Business Agent of The Detroit Stage Employees Union IATSE Local 38. In addition, members of the IATSE Local 38 FIRMPAC will address their efforts to re-ignite a Film Incentives program in Michigan. 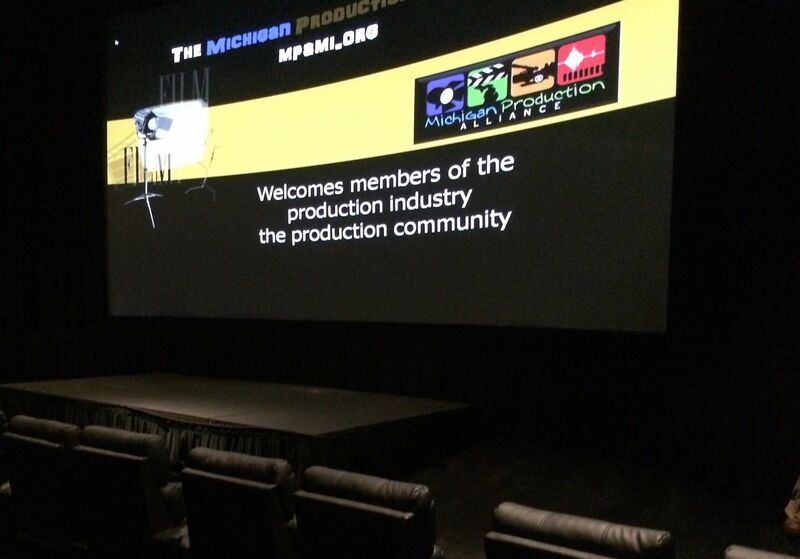 FIRMPAC is the acronym for Film Industry Reinvestment in Michigan Political Action Committee. Joe Miller began specializing in sets, scenery, and grip work for TV commercials, broadcast TV and feature films in 1987. Prior to that, he worked in automotive advertising photography. Joe has traveled to 39 states and 2 foreign nations in his work. Joe was elected Business Representative for IATSE Local 38 in 2016, and serves in a full-time capacity working for the membership of the union. Joe originally contacted Local 38 because he needed a good source for reliable, skilled carpenters and painters for his projects. Shortly after that, he was initiated into IATSE Local 38 in Detroit in 1991. Membership in the union allowed opportunities for training and education in other areas besides sets and grip work. He was able to expand into other disciplines, including theatrical, AV, and trade show work. Stage 3 Productions in Warren, MI is a state-of-the-art facility that was designed and built based on 25 years of commercial photography and production experience. They offer high quality services in photography, video, film, production and advertising. Their 7 stage rentals include large and extra-large studios, medium studios, a daylight stage and a rooftop stage. Please RSVP at MPA Unionism Event. $10 donation is suggested to keep the virtual lights on, to support MPA being able to provide interesting and informative events for the Michigan production community. Networking begins at 6:30, and the presentation starts at 7pm sharp. Certified 501c6 in 2003, Michigan Production Alliance is a non-profit with a mission to provide cohesiveness to the community through communication, continuing education & political awareness.